Lock & Lock 32-Piece Set is just $14.99 today. My mother-in-law owns a set of these and they are great because the lids snap on tightly on all sides, therefore if a contaner drops, you have no worries about the lid staying in place. They also stack nicely for storage. 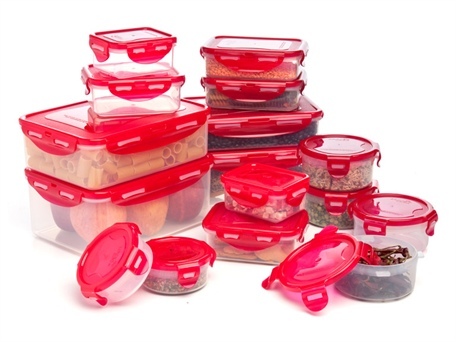 If you are into freezer cooking or saving leftovers from your meals, these are perfect for food storage.